Rieder and Brownback argue that today investors are confronted by massive shifts in the nature of the economy, alongside cyclical and policy uncertainties; making sense of it all is critically important. Moore’s Law, which states that computer processing speeds should double roughly every two years, proved to be true for a generation and helped to catalyze historical, technological, and social change, as well as remarkable productivity and economic growth. Today, however, new processing-intensive operations have challenged the law’s durability. Fortunately, the revolutionary emergence of parallel-processing chips has created a vast new dimension of computing capability – essentially computer chips that can now multi-task. Thus, simultaneous processing of massive and differentiated data inputs is possible, which has colossally accelerated the evolution of numerous cutting-edge innovations, such as artificial intelligence and autonomous driving, to name but a couple of the higher-profile examples. Similarly, successful investing today requires an ability to look past simple hyperbolic headlines and concurrently process and prioritize numerous thematic influences, many of which are historically unprecedented and are likely underappreciated by conventional wisdom. High atop our thematic list is the evolving dominance of the “intangible economy” that has radically altered global consumption and investment behaviors, and which is fascinatingly depicted in the recent work by Jonathan Haskel and Stian Westlake, Capitalism Without Capital: The Rise of the Intangible Economy(Princeton, 2017). Ubiquitous human connectivity has dramatically elevated the relevance of digital intangible assets (data, applications, brands, etc.) and given rise to a frenzied corporate focus on their aggregation and monetization. In turn, this is engendering massive amounts of research and development spending, and investment in intangible assets, like social media platforms, apps, etc. that cater to consumers and in many cases hold transformational impacts on the global economy. At the same time, tangible asset investment has long been in decline (see graph). Attempting to value the “capital stock” of digital intangible assets is an imprecise endeavor because the specific pecuniary impacts are difficult to quantify. Consumers are just beginning to understand that data created from their use of intangible products has realizable intrinsic value. For companies, the value of intangible assets are only reflected on balance sheets via acquisitions, or by backing them out from market capitalizations. But the overall societal benefits of proliferating intangible assets are unambiguous. Many corporations now generate enormous cash flows with a stock of ever fewer physically tangible assets. Systemic inventory management has become highly efficient, which reduces the amplitude of the macro economic cycle. Moreover, pervasive connectivity fosters intense price competition that places a secular downward pressure on global inflation rates, a broad and vital positive for the household sector. Another theme worth monitoring is the muddled cyclical inflation outlook and possible policy responses. Specifically, weighty components to the Consumer Price Index, such as energy and shelter, face headwinds associated with steep base effects. Conversely, widespread tariffs would produce an obvious cyclical inflationary shock, just as many industries already face onerous capacity constraints that risk evolving into cost-push type price increases. In total, while markets are fearful of accelerating inflation, we think the Federal Reserve will look through the cyclical noise in deference to longer-term secular constraints. Instead, we think policy makers will rightly focus on rate hike ramifications for real-economy activity while seeking a nebulous policy neutrality. With solid U.S. growth momentum, the risk of a tightening-induced recession is low at this point, but collateral damage from excessive tightening is very possible. Already, some debt-financed sectors like housing are showing nascent signs of diminished activity. Moreover, the prominent loan market will become exposed to rates that rise above the preset floors embedded into most outstanding loans. Finally, as the U.S. economy becomes more dominated by rate-insensitive, intangible-heavy businesses, extreme Fed rate adjustments away from neutral (up or down) will unfairly penalize very specific economic constituents, like savers and homeowners. An underappreciated corollary to persistent Fed tightening is U.S. dollar strength (USD), especially when such hawkishness runs counter to the policy stance of other developed market (DM) central banks, as is the case today. Generally speaking, a stronger USD can disrupt the global financial system by tightening USD funding and reflexively lowering non-U.S. economic growth. And, when global liquidity growth slows sharply, as it has this year, U.S. dollar strength exacerbates the onerous consequences already accruing to liquidity-dependent global borrowers. That phenomenon has been visibly evident during 2018, with rolling emerging market (EM) crises posing a widening risk of broader contagion. Divergent financial market influences are equally complex. First, investor conviction has plummeted, severely diminishing market liquidity just as persistent volatility short selling is driving DM implied volatility to new lows. Combined, those two factors represent a systemic vulnerability with potential for forced unwinds into precariously thinly-traded markets. Simultaneously, credit spreads reside at cyclical tights, reflecting robust cash flow-driven leverage metrics. 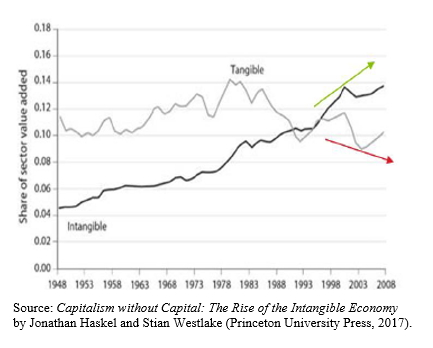 But the emergence of intangible assets means any cyclical decline in systemic cash flows can dent credit metrics rather faster than historical experience, since there are fewer tangible assets to serve as a collateral cushion. Another evolving dynamic is the efficacy of duration as a reliable risk hedge. While historically dependable, hedging with duration has been a counterproductive tool so far this year, but we think that the resumption of disinflationary forces and a full market pricing of near-term rate hikes suggest that risk parity, via short- and medium-dated U.S. Treasuries can be useful again for the remainder of 2018. In sum, we find that while the range of potential forward scenarios has widened this quarter, the likelihood of a negative outcome has risen meaningfully. Accordingly, we are exploiting highly attractive short-dated fixed-income assets for carry and convex duration, specifically U.S. Treasuries, securitized assets, investment-grade credit, and DM sovereigns swapped to U.S. dollars. We’re staying exposed to equities though cheap upside gamma. Moreover, given the carnage witnessed in recent months in EM debt markets, we’re also layering in hard-currency expressions, and remain long the U.S. dollar as a systemic hedge. Investors today must understand the massive long-term changes taking place in the economy, alongside the cyclical economic fluctuations within them. They must also contend with an increasingly opaque monetary policy path for the year ahead, so we think maintaining a fair degree of caution makes sense, and it positions one well to take advantage of future opportunities. 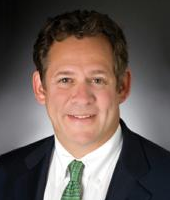 Rick Rieder, Managing Director, is BlackRock’s Chief Investment Officer of Global Fixed Income and Portfolio Manager of the BGF Fixed Income Global Opportunities Fund. Investing involves risks, including possible loss of principal. Fixed income risks include interest-rate and credit risk. Typically, when interest rates rise, there is a corresponding decline in bond values. Credit risk refers to the possibility that the bond issuer will not be able to make principal and interest payments. Learn more about how consistent investment performance and low fees are critical to achieving your fixed income goals in today’s environment. This material is not intended to be relied upon as a forecast, research or investment advice, and is not a recommendation, offer or solicitation to buy or sell any securities or to adopt any investment strategy. The opinions expressed are as of September 2018 and may change as subsequent conditions vary. The information and opinions contained in this post are derived from proprietary and non-proprietary sources deemed by BlackRock to be reliable, are not necessarily all-inclusive and are not guaranteed as to accuracy. As such, no warranty of accuracy or reliability is given and no responsibility arising in any other way for errors and omissions (including responsibility to any person by reason of negligence) is accepted by BlackRock, its officers, employees or agents. This post may contain “forward-looking” information that is not purely historical in nature. Such information may include, among other things, projections and forecasts. There is no guarantee that any forecasts made will come to pass. Reliance upon information in this post is at the sole discretion of the reader. Rick Rieder is BlackRock’s Chief Investment Officer of Global Fixed Income and a member of the company’s Global Operating Committee. Rieder is the lead portfolio manager of BlackRock’s Multi-sector funds including Strategic Income Opportunities Fund, Total Return Fund, Core Bond Fund and also the Strategic Global Bond Fund. A 2013 inductee into the Fixed Income Analysts Society Hall of Fame, Rick also serves as a member of the Federal Reserve Bank of New York’s Investor Advisory Committee on Financial Markets.